As profesores de ingles, Shannon and I get a well-deserved spring break away from the children. We decided to take advantage of all this time by making an extended trip to Italy. We figured Italy deserved a little more time because it seems like THE country to go to on a European vacay. 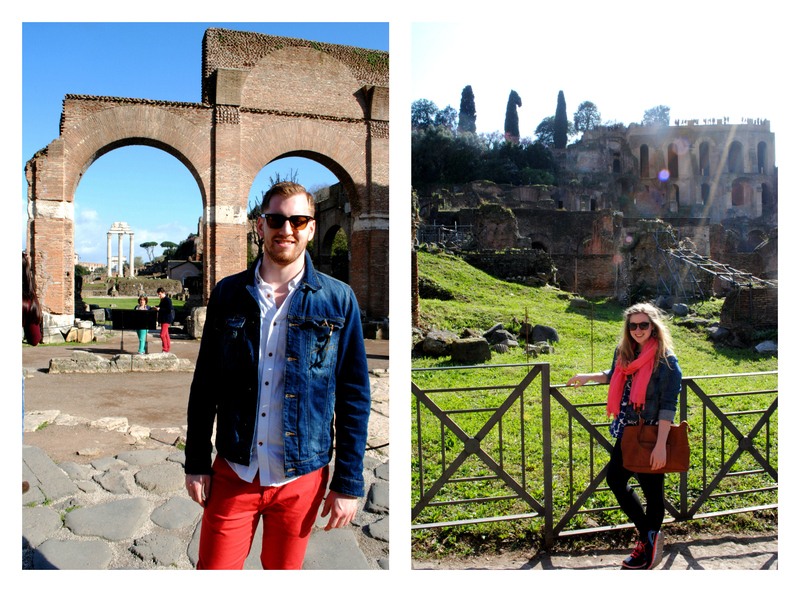 Stop #1 of 3 (and my personal favorite) was Rome, Italy. 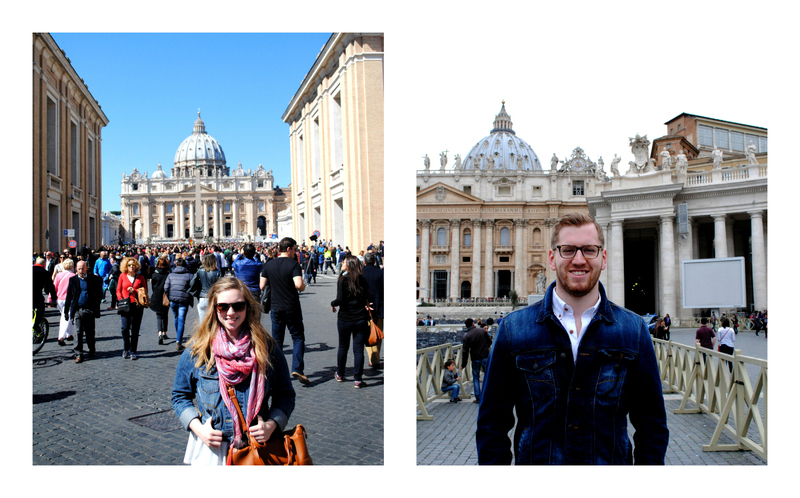 We spent just over 2 days in Rome and honestly loved every minute. As usual, we stayed in an Airbnb, and it worked out really well for us. We tried to see as many sites as possible, but I think you could spend an entire week in Rome and still feel like you need more time. We got to our airbnb a little early due to a super early flight out of Madrid, so while it was being cleaned we decided to visit the Vatican. The man cleaning the room told us the pope comes out to speak at noon, so we thought it would be perfect timing. There were TONS of people there, but after waiting around for a while, we realized we were too late and he had already finished speaking. On our way to the vatican, Shannon and I passed a really great looking local place close to our apartment. It looked authentic and not overly priced, our favorite. The food was by far some of the best we had in Italy. Our next stop was one Shannon was really excited to see. Unfortunately, we were met with some disappointment because all the water is drained and they have built scaffolding all around it for extensive cleaning. We still managed to beat back the British tourists and get kinda close. 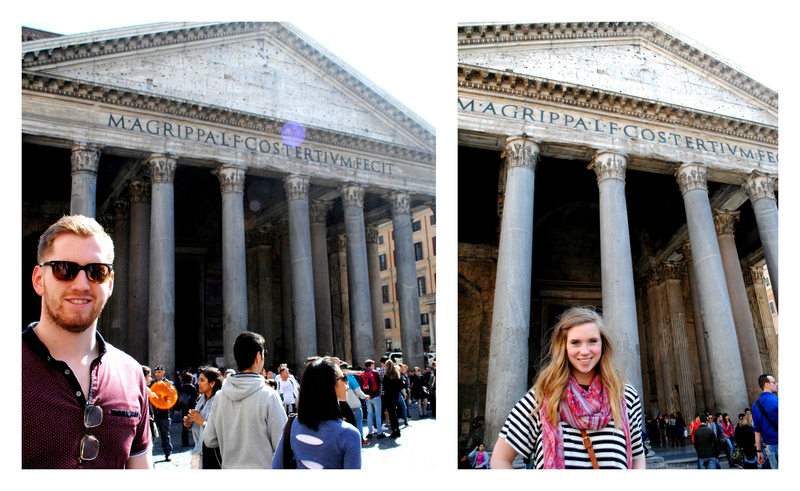 We actually found the Pantheon by accident while following the narrow and winding streets of the Roman center. We didn’t even find out what it was until later in the day. Its a really cool building, and like most ancient buildings in Rome, has been converted to a church of sorts. Every time you get close to buildings like this, you are completely amazed that people were able to build such things with out ANY modern construction equipment. This was another site we really didn’t recognize, but we still really liked. Inside it’s essentially a military museum complete with guards that take guarding things super seriously and yell at tourists who step out of line. However, if you climb to the stairs to the roof of the building, there is a really great view of all of central Rome and the ruins all around. This is obviously a necessary part of every Italian vacation. We repeated this step throughout the trip numerous times. Because, necessity. 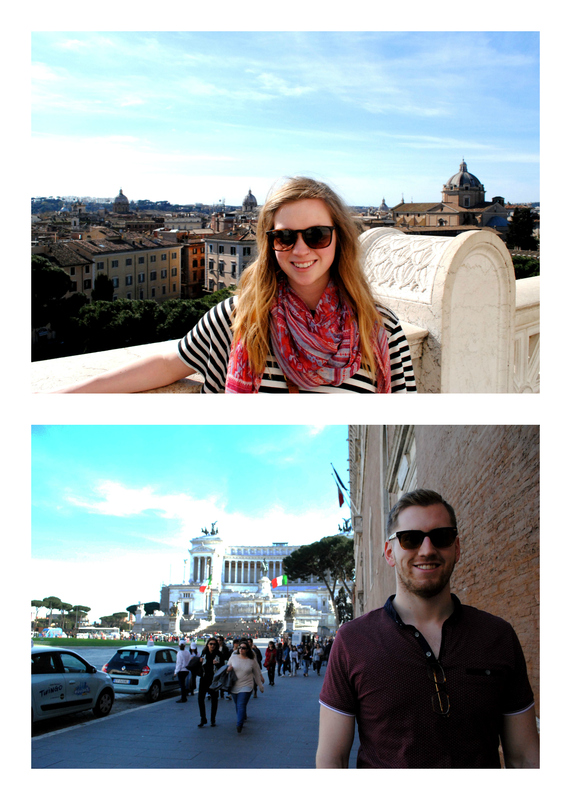 After wandering around Rome and getting around 3.5 hours of sleep the night before, Shannon and I were obviously super tired. We went back to the apartment for a quick little nap then headed out for dinner a little later. We went to a great local pizza place (well one of a billion) that was recommended to us by anther teacher at my school. The pizza was obviously amazing and the 5 Euro liter of red wine wasn’t half bad either. Our first trip to the Vatican was half hearted at best. Our apartment was only about 15 minutes away on foot, so we thought it deserved a second stop. 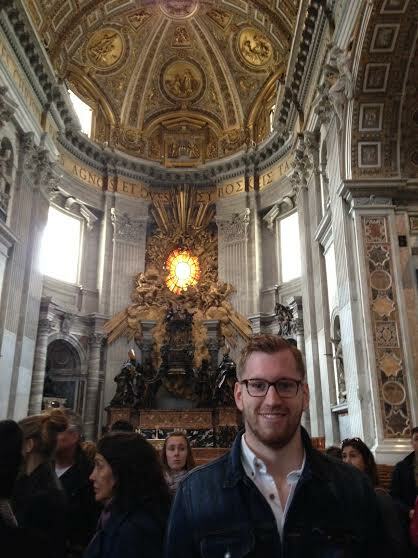 This time we wanted to see the inside of the basilica, so we waited in a ridiculously long line for about an hour. But it was totally worth it, and we were really impressed by how much detail was in every inch of every surface. This was one of the big ones for both of us. 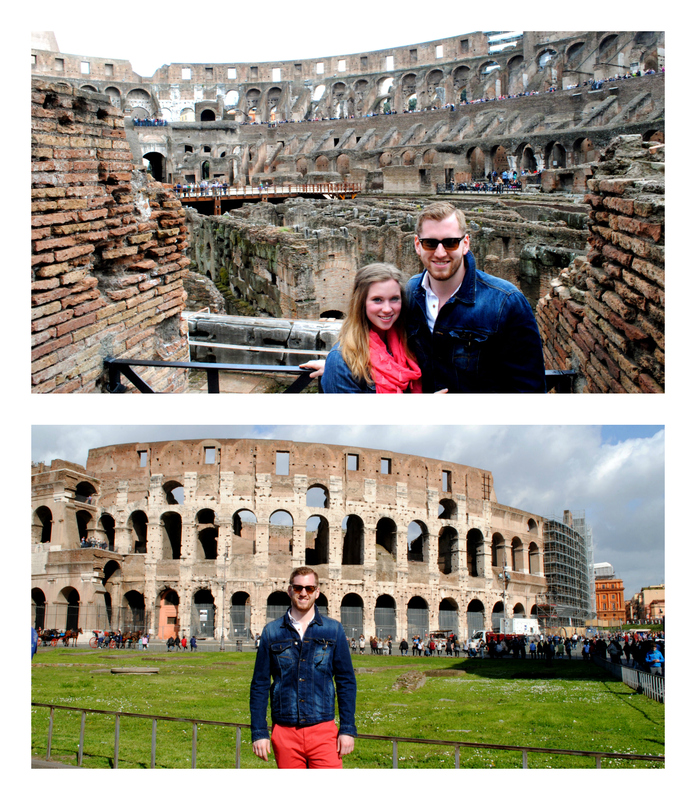 We were really excited to see the Colosseum, and it did not disappoint. It was probably my second favorite site in all of Rome. There’s not much more to say, it’s the Colosseum and a must during a trip to Rome. When you buy a ticket for the Colosseum, entrance into the Roman Forum is included. This site turned out to be my favorite. It’s basically the old Roman marketplace, and it’s huge. You would need several hours to really walk through the whole area. Visitors also get to be a little closer to the ruins than you do in the Colosseum. You are pretty much walking right where ancient Romans bought and traded goods. It’s a really cool place. Much to Shannon’s dismay, up until this point, we had not tried ANY cannoli. After what I can only imagine was very thorough research, she located one of the best cannoli places in town. We got one to go and decided to eat it after our dinner. For our actual meal we went to a great little place that used homemade noodles in all their dishes and again was excellent. 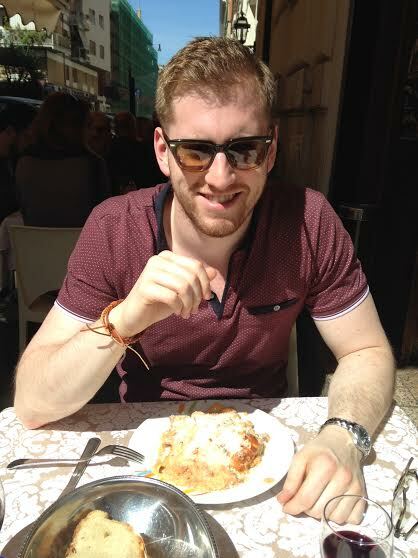 Rome did not disappoint on the food front. 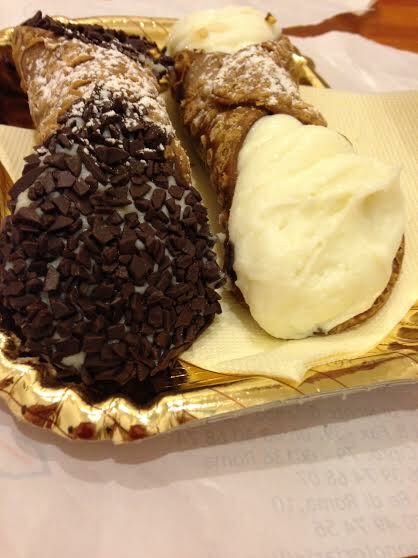 Oh…and the cannoli were delish too.